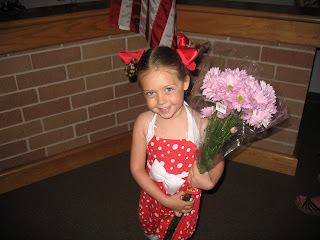 Jaeden had her first dance recital May10th. 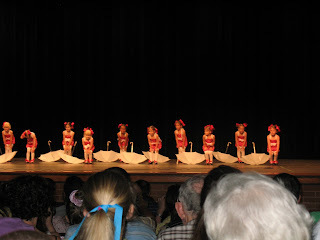 The cute little dancers did a tap dance to "Walking in the Rain" with little white umbrellas. She did such a great job, we were so proud of her! Grandma Hanson, Grandpa Haynes, Great Grandma Jackie, Aunt Jackie and her cousin Audrey came to see her shine! Wow- what a cute little dancer! Go Jaeden!